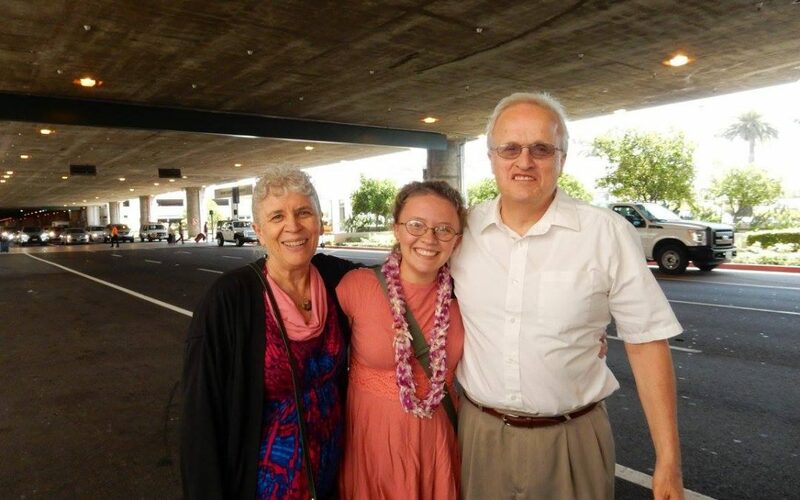 On Jan. 16, my parents were driving from Salt Lake City, Utah, to the next stage of their life — as self-reliance missionaries in Morristown, New Jersey — when they slid off the icy road and slammed into a cement barrier. I video chatted with them that afternoon to make sure they were alright. Other than whiplash and a few bruises, they were fine and were staying with a bishop they had met in the emergency room; Mom smiled and laughed, and Dad grimaced when she leaned against his airbag-induced bruises. My parents are safely in New Jersey now, living the high life of senior missionaries, but I keep thinking about that video call. Metaphorically speaking, how hard is it for us to “make it out of Utah”? My parents had the resources to get themselves out of their temporary setback quickly. Many of us don’t. I learned a few things about setbacks from their experience, and I want to share them with you. When you have troubles getting out of Utah — metaphorically, of course, I have nothing against Utah — you can have something to fall back on. 1. Expect ice on the freeway of life. Mom and Dad knew there was ice in Utah and Wyoming. It is January, after all. They both attended BYU and lived in Utah for years, so they even have experience driving in icy conditions. But black ice makes no distinction between the Texans and the Canadians — all will slide at some point. Even those of us who have experienced setbacks before will still find ourselves slipping off the road and into a cement barrier. You can’t always plan for it, and trust me, your Utah will come when you least expect it. 2. Offer help if you see others having setbacks. If Mom and Dad hadn’t met that bishop in the ER, they probably would have still been fine. But even if they had found a hotel, it would have been hard to get there without a car. If you look behind and see someone wrapped around a cement divider because their student loans didn’t go through or they messed up an assignment, see what help you can offer! People will try to tell you life is a competition, but that’s an artificial reality. Pull over and help those who are struggling to make it across the Utah border. 3. Maintain optimism throughout setbacks. For some of us, literally totaling our cars might spell the premature end of our dreams (let’s be real, none of us can afford to pay for repairs), but it’s not the end of the world. Losing hope isn’t going to make life any easier, so keep your chin up and smile. That airbag may have bruised you up a little bit, but you’re still kicking! Remember: the optimist sees the glass as half-full, the pessimist sees it as half-empty, but the realist knows it was always full to begin with — half water, half air. 4. Change your plans when needed. Mom was pretty bummed that she couldn’t drive across the U.S. and visit some of her children on the way. When setbacks arise, you can’t be so attached to your original ideas that you reject any other options. Sometimes all you have to do is wait a bit for the ice to melt and move forward, but but you might, as my parents did, avoid the ice entirely by taking an airplane. This might mean changing your major, breaking up with your girlfriend or switching careers. Someday, you’ll find yourself on the side of the road, stranded in the Utah winter (hopefully not literally, but who knows). Much like my parents, you can still reach your New Jersey — even if it’s not how you wanted.